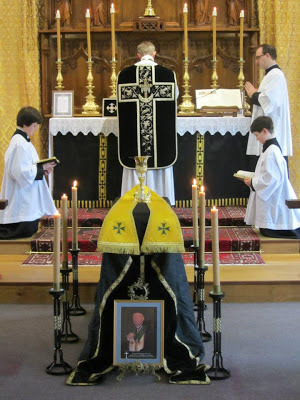 The Grand Prior of Great Britain, His Excellency the Baron of Fetternear, his Council, & other members of the Grand Priory came together last Saturday, 9th March, for a sung requiem in the Usus Antiquior offered for the repose of the soul of Mgr Pierre Boz, the Grand Prior Spiritual of the Order of St Lazarus. 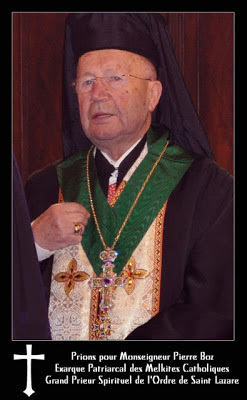 Mgr Pierre Boz, Grand Prior Spiritual, Ecclesiastical Grand Cross, Patriarcal Exarch of the Melkite Greek Catholic Church, Officer of the légion d'Honneur, died on February 15th in Paris at the age of 87. Mgr Boz's family came from Trieste. This city lies on the Adriatic Sea between East and West and sums his whole life up. As a young White Father, he arrived in Algeria where he quickly became the assistant of Mgr Lacaste, Bishop of Oran. During the Second World War he volunteered, becoming Chaplain of the 1st Foreign Parachute Regiment. In 1962 he became the representative of Cardinal Feltin. In 1965. Influenced by his family's Byzantine culture he put himself under the authority of the Melkite Greek Catholic Patriarch Maximos IV for whom he became the Patriarchal Exarch for France. The same year he was received as Chaplain of the Order of Saint Lazarus, the Patriarch being Protector of the Order. Mgr Boz was an academic deeply rooted in this North African culture and recognised by his peers for the global vision of his work. He was an Arabic and Islamic scholar, very much attached to the Berber community. 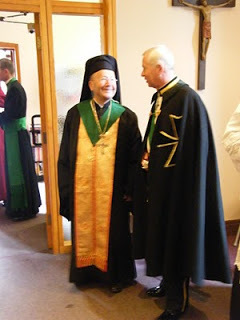 Mgr Boz was attached to the diocese of Paris in the framework of the "pastorale des migrants" (An association giving spiritual help to migrant people). Chaplain of Saint Lazarus since 1965 he produced for several years a journal of the Order dedicated to ecumenism. 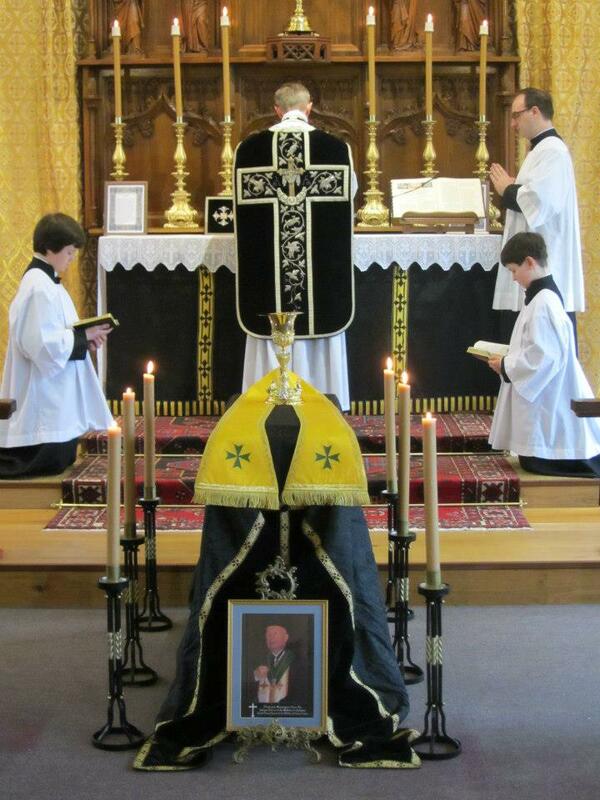 He continuously accompanied the Members of the Grand Priory of France in their life of faith. Grand Prior Spiritual of the Order since 2010 he maintained the link with the Melkite Greek Catholic Patriarchate, thus preserving the memory of the protectorate of the Patriarchs, who carried out this task in the interim from 1841 to 2004. Steeped in the spirituality of Saint Lazarus, Mgr Boz was untiring as Grand Prior Spiritual in his role of maintaining and teaching the spiritual life of the Order, especially through his "letters of Unity", the last issue of which has just been published. He always sought to pass his legacy down to us. May the Lord grant him eternal rest in His heavenly Kingdom.